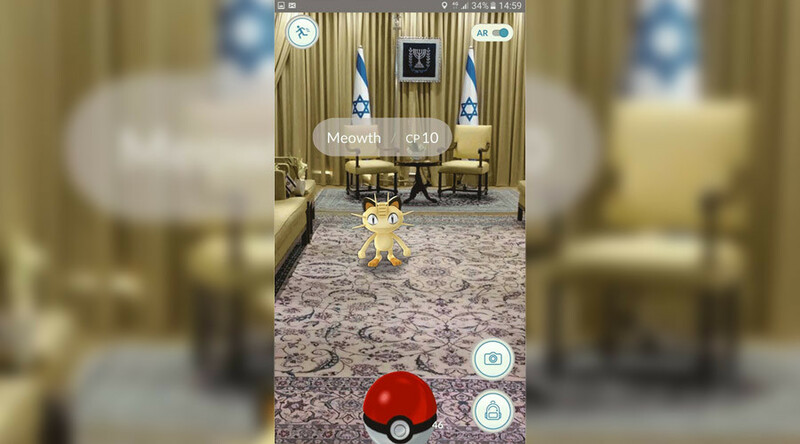 Pokemon Go mania has spread to the Israeli armed forces and even the office of the president, with Reuven Ruvi Rivlin’s photo revealing how one of the creatures ‘invaded’ his office. The augmented reality app by Niantic Labs has been downloaded millions of times since its release little more than a week ago. It’s sweeping popularity saw the market value of Niantic Labs’ partner and owner of the Pokemon brand, Nintendo shoot up by approximately $7.5 billion in 48 hours. One of the unusual side effects of the mobile phone phenomenon, however, has been people trying to “Catch ‘Em All” in places usually reserved for quiet reflection – like New York’s 9/11 memorial or the Holocaust Museum in Washington. After the US army personnel showed they had embraced the app it appears that military allies Israel want in on the game too. “Got Pokemon that only we can catch,” the navy boasted on social media.